Maine's scallop fishing season is set to begin amid concerns of crowding in the rebuilding fishery. The 2014-15 scallop season began on Monday. Maine fishery regulators have used a battery of restrictions and regulations to rebuild the fishery in recent years. The fishery has grown from about 33,000 pounds in 2005 to more than 400,000 pounds in 2013. Maine scallops have also grown in value, and participation in the fishery is up. 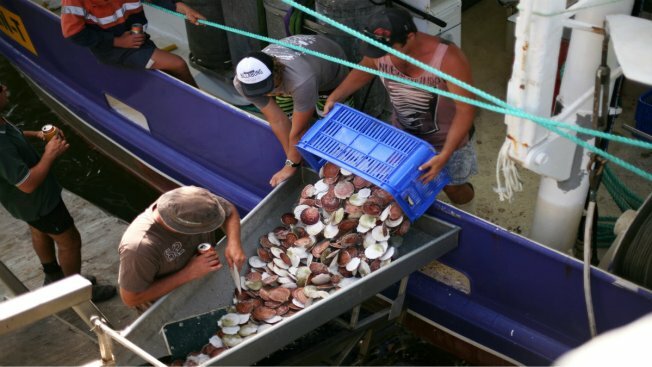 State Resource Management Coordinator Trisha Cheney say the state licenses about 650 scallop fishermen, and the number of active fishermen has grown from about 200 a few years ago to about 400 now. Cheney says the value of scallops and the recent shutdown of Maine's shrimp fishery could combine for another crowded year in the scallop fishery.